Minnesota might have more of them, but when it comes to oversized, giant fish statues, Wisconsin has us beat. 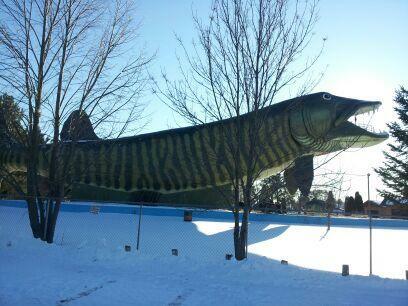 Hayward is home to the World’s Largest Muskie, found at the National Fresh Water Fishing Hall of Fame. Nothing even compares to this thing. 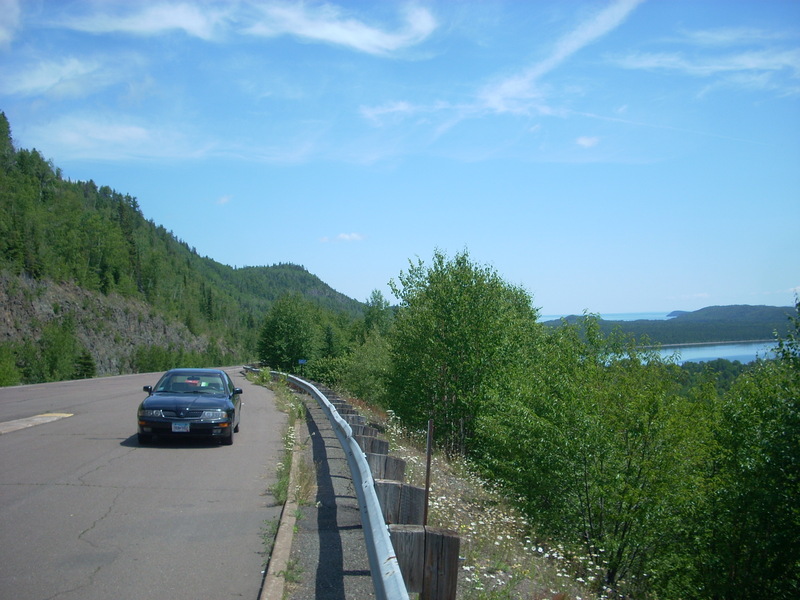 At 143 feet long and 45 feet tall, the muskie also has an observation deck inside its mouth that you can climb inside and check out. That’s half a city block long and four stories high. 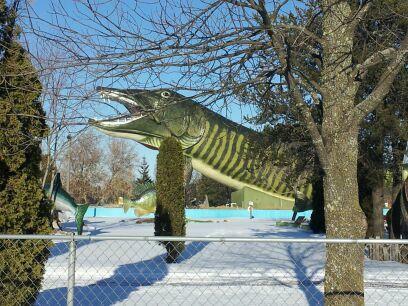 There are also other smaller fish statues in the park around it, but the Muskie is clearly the centerpiece here. 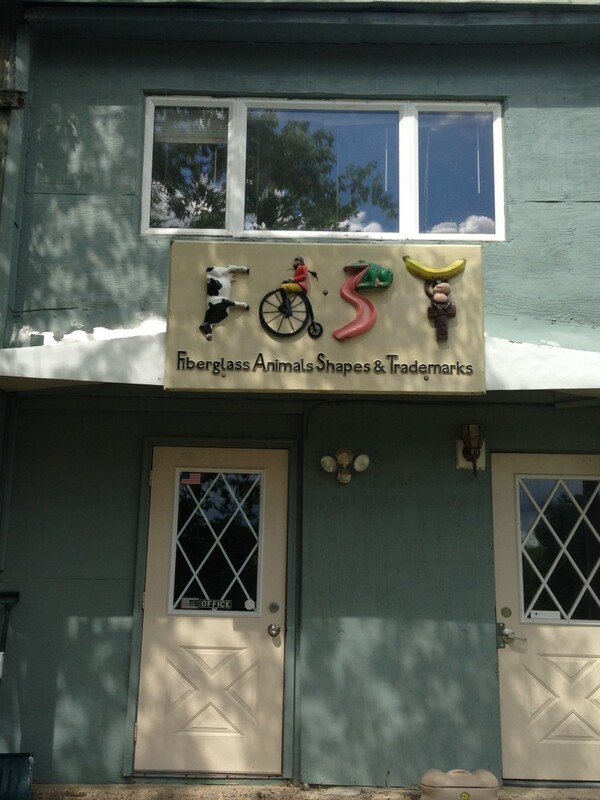 Built by F.A.S.T. Corporation, the inside staircase to the top of the mouth is filled with names of thousands of anglers, called the “Shrine to Anglers.” The giant fish sits atop an 88,000 gallon pond and is said to attract over 100,000 visitors every year. This is one of Wisconsin’s best. While in the area: Check out the the fishing museum, which contains exhibitions of over 400 fish mounts and over 300 outboard motors. Pop into the Moccasin Bar afterwards to try some good local WI beers and check out some more record fish mounts.